2. 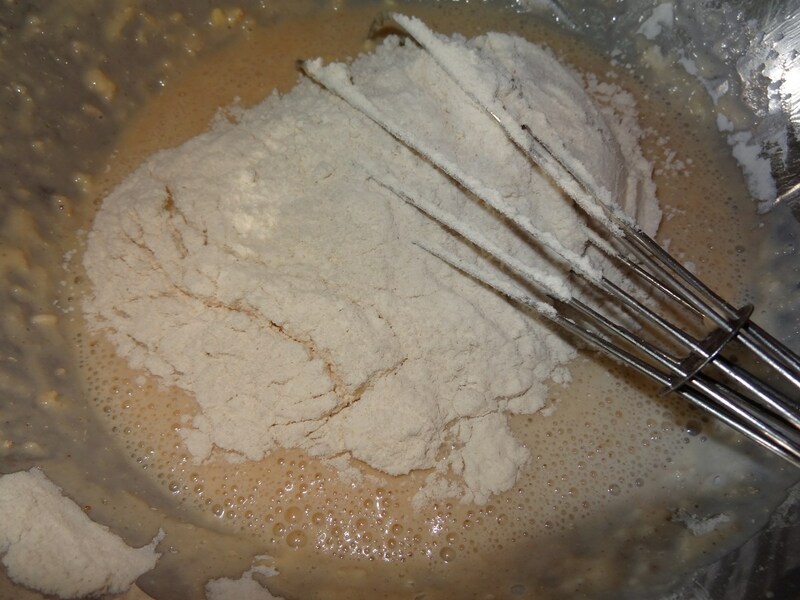 In the bowl, mix together yeast mixture, flour, milk, butter, yolks, sugar, salt, and cinnamon. Beat at low speed until a soft dough forms. Increase speed to medium-high and beat 3 minutes more. The dough will be soft and sticky. 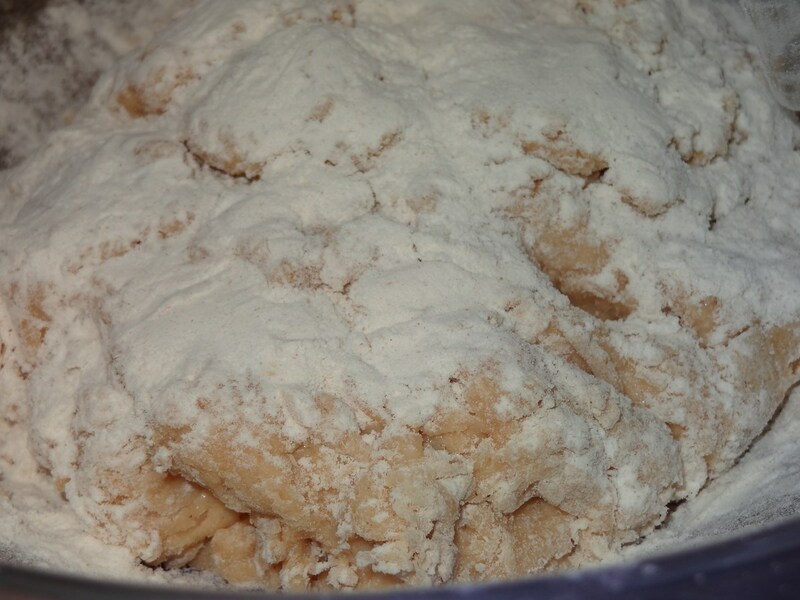 If you’s too sticky to handle, add up to 1/2 cup more flour. 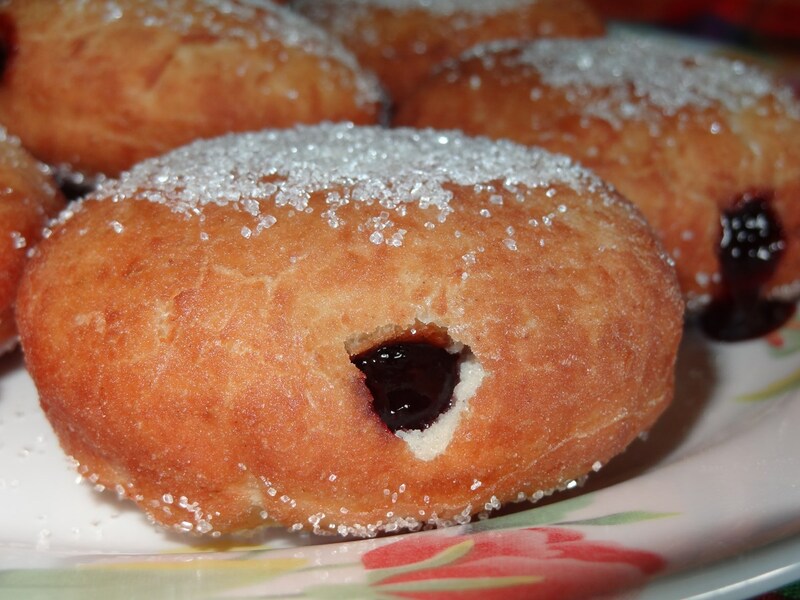 Note: the doughnut dough should be soft and somewhat sticky so don’t add too much flour. 4. Turn dough out onto a lightly floured surface and roll out with a lightly floured rolling pin into a 12-inch round (1/2 inch thick). Cut out as many rounds as possible with 3-inch cutter and transfer doughnuts to a lightly floured large baking sheet. Cover doughnuts with a clean kitchen towel and let rise in a draft-free place at warm room temperature until slightly puffed, about 30 minutes (45 minutes if dough was cold when cutting out doughnuts). Do not reroll scraps (they’ll make for tough doughnuts). 5. While the cut doughnuts rise, make the Vanilla Sugar. 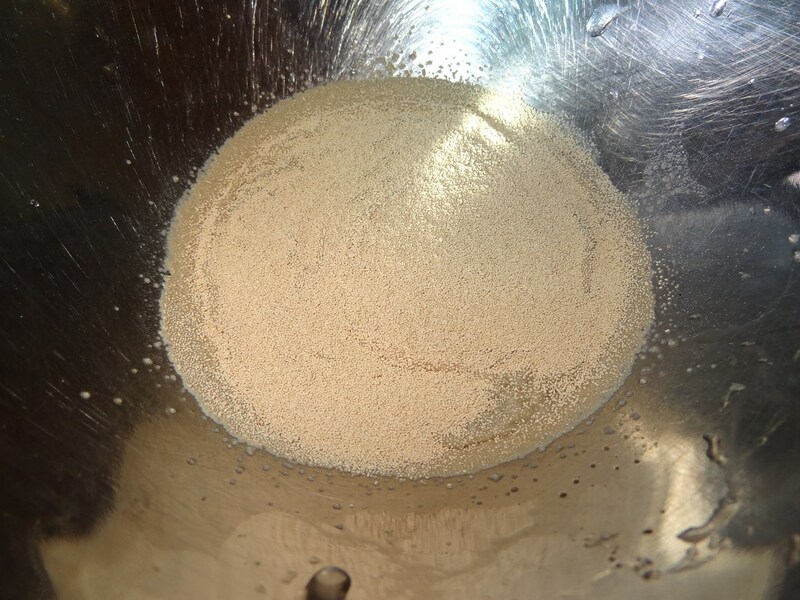 In a medium bowl, combine sugar, vanilla bean scrapings, and salt. Use your fingers to make sure the vanilla bean scrapings are evenly disbursed throughout the sugar. Set aside. 6. Heat 2 1/2 inches oil in a deep 4-quart heavy pot until it registers 350°F on thermometer. 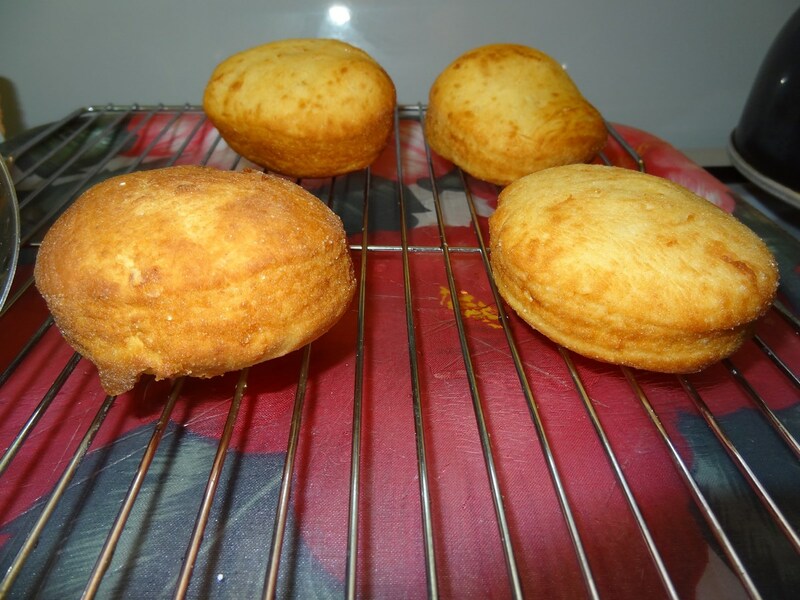 Fry doughnuts, 2 at a time, turning occasionally with a wire or mesh skimmer or a slotted spoon, until puffed and golden brown, just over 2 minutes per batch (about 1 minute per side). 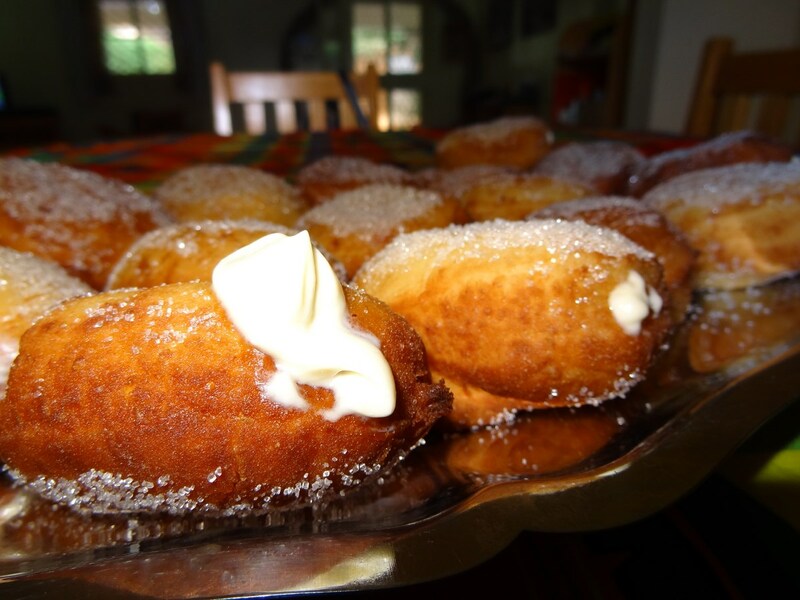 Before removing the cooked doughnuts from the oil, quickly submerge them in the hot oil then immediately remove and place in the Vanilla Sugar mixture. Toss in the sugar and them allow to cool on a paper towel lined baking sheet. 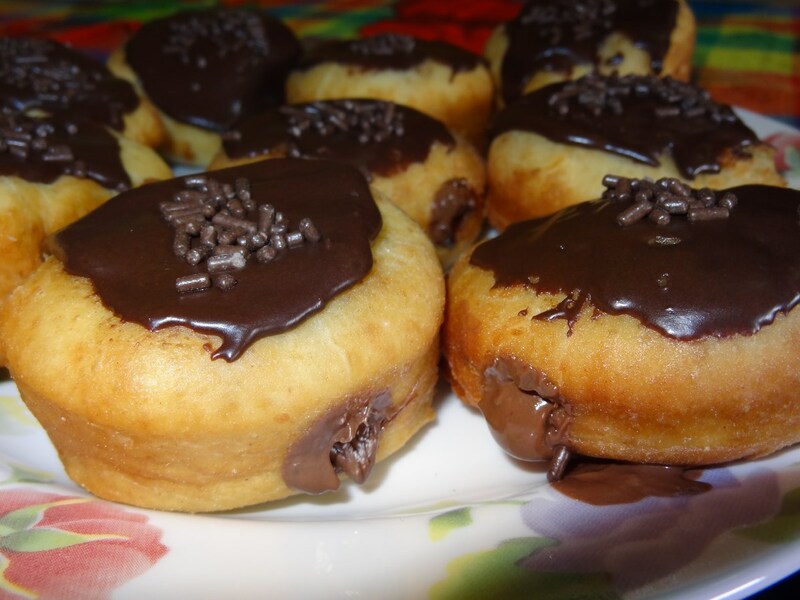 Once cool, fill with whipped cream, jam or nutella or anything you would like.